Hungary plans to boost its UK C&I traffic by holding an open day in London. Delegates will have the chance to meet the Hungarian National Tourist Office (HNTO) and around 15 MICE suppliers including hotels, conference centres and DMCs on 5 June. 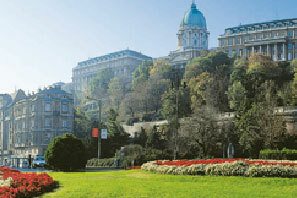 HNTO director Endre Kardos said: "Hungary has much to offer the MICE market with its wide choice of venues such as hotels, castles, palaces and wine cellars, plus its unique sightseeing options. More importantly, it represents excellent value for money, being outside the euro zone and for many businesses this could be the difference between hosting an event or not in the current economic climate." The event will be held from 11am-4pm at the Strand Palace Hotel. Last year the number of international conferences held in Hungary grew by just over 9 per cent, he said.